MogoBlog MogoLicious Tasty Tip of the Day: Known worldwide as the original iced coffee, the Mazagran was brought back from North Africa to France in the 19th Century. It quickly became popular in the coffee houses of Paris, and was the first European coffee to be served in tall, narrow glasses. Simply brew your espresso nice and strong. Serve over ice with a glass of lemon-spiked ice-cold water. Add a bit of lemon peel to garnish. 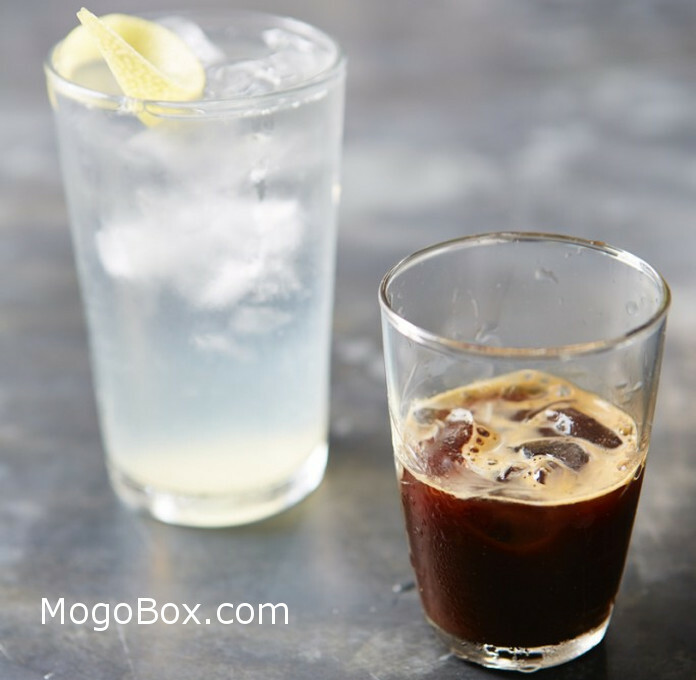 This entry was posted in MogoBlog, MogoLicious and tagged Coffee, Espresso, Iced Coffee, Lemon.